Life insurance pays out a sum of money either on the death of the insured person, or after a set period of time. It pays a benefit to your survivors, called the beneficiaries, in the unfortunate event of your passing. In a life insurance plan, monthly payments are usually made in exchange for a lump-sum payment, known as a death benefit, which beneficiaries would receive in the event of the insured person’s death. Life insurance is chosen depending on your needs. When it comes to creating a life insurance plan, many factors come into play. 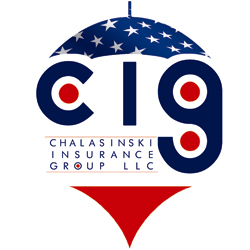 Here at Chalasinski Insurance Group (CIG), we understand that each person is unique and has specific goals for their life. Please call our president, Tom Chalasinski, at 440-838-5383, and he can assist you in choosing the best plan for you and your family. There are several things to think about when it comes to life insurance, and determining if it is for you. Firstly, you need to consider your family. Do you and your spouse have a mortgage to pay off? Is your child planning on going to college? Do you own a family business that could prosper beyond your lifetime? If you found yourself saying yes to one of these questions then life insurance should be a serious consideration for you. The second thing you need to think about is your health. If a severe illness or condition is threatening your well being, is it really worth risking the aforementioned aspects of your family’s future? Even if you are in good health, you have to consider that not all deaths are foreseeable. An unexpected death will make it much harder for your family to cope if it is also one you are not prepared for. The trauma and stress combined with a heavy financial burden may be too much to handle for your loved ones. Be certain that such a scenario does not unfold. Call Tom Chalasinski today at 440-838-5383 for more information about life insurance, or simply insurance in general. Life insurance will ensure the well being of your family even beyond your existence. Do the right thing and put your loved ones first. Contact us today to get started.